In honour of the Forgotten Food Symposium this weekend, I thought that I would post these two photographs as ‘food for thought’. The images, according to our early cataloguing records, indicate that this was the E.J. 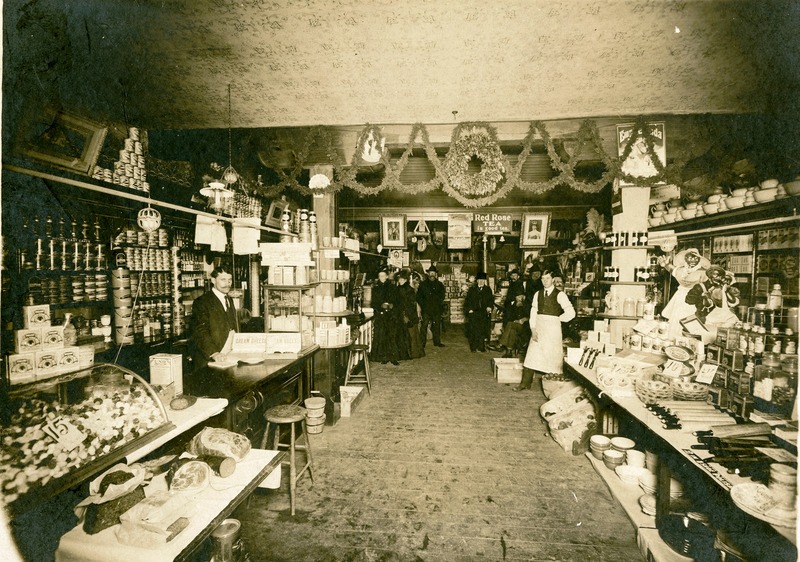 Shantz Grocery on Frederick Street, Berlin, in 1910. However, there is no E.J. Shantz or E.J. Shantz Grocery in the 1908-1909, 1911-12 or 1912-1913 Vernon’s directories for Berlin. A quick cursory look at the 1911 Census of Canada in Ancestry revealed no clues for E.J.Shantz too. There is an E.J. Shantz with a business at 48 Queen Street South, but he is shown in the 1912-1913 directory with an occupation of “commission” and I suspect from another photograph in the collection that he was, in fact, an auctioneer. I’ve made a note to do a bit more digging on this E.J. Shantz – perhaps he is connected to the grocery store in some capacity. The other possibility is that an E.J. 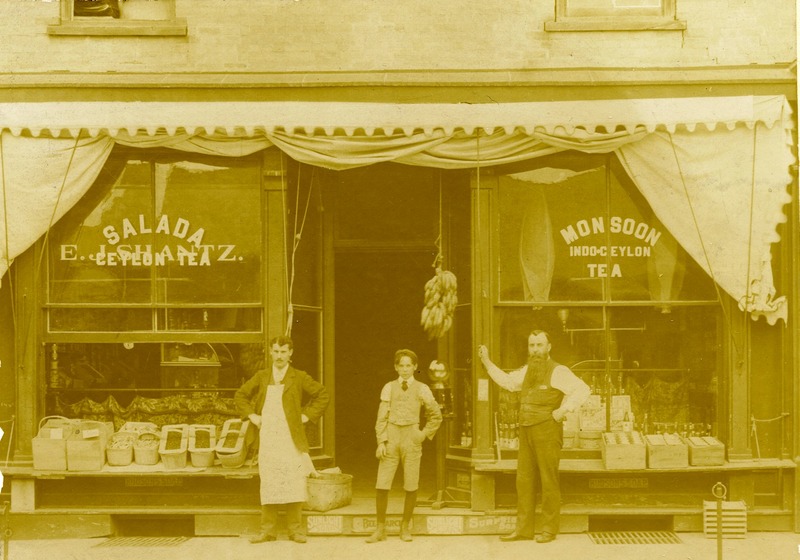 Shantz did operate a grocery on Frederick Street in 1910 for a brief time. The image of the interior seems to suggest that is the Christmas season, given the garland and wreath strung across the ceiling beam. It’s also possible the date or location is totally off. I’ll keep digging – the answer is in the GSR somewhere. If you have any ideas, I’d love to hear from you. If I come across more information, I’ll be sure to post. And, by the way, Happy World Day for Audiovisual Heritage! Each year, October 27th is proclaimed by the United Nations Educational, Scientific and Cultural Organization (UNESCO) as World Day for Audiovisual Heritage to build global awareness of issues on preserving audiovisual material, such as sound recordings and moving images.